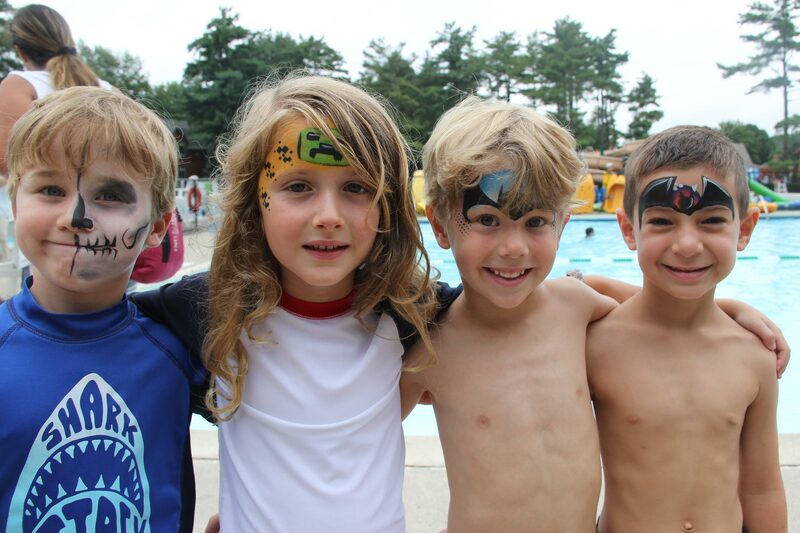 At Spring Lake, our Mini Day and Full Day Junior Camp Programs are specifically designed to meet the needs of the young child as well as the first time camper. We understand the importance of our parents having a strong sense of trust in us, knowing that your son/daughter will be experiencing several firsts – from separation to riding a bus to learning to swim. Our Junior Camp staff is trained to understand the need for being a hands-on counselor, offering warmth, support and encouragement to ensure a positive experience for our youngest campers. All of our programs and facilities are age-appropriate. Many sports and arts areas are specifically designed for our Junior Campers -our Junior Pool which allows all of our little ones to comfortably stand; our junior tennis court with softer balls and perfectly sized rackets; a junior field house for floor hockey and other covered activities; our “Art Shop” pavilion; sports fields; a Music/Drama/Puppetry area; the Junior Camp “Kids in the Kitchen” cooking program; and even a complete Adventure Challenge and Zip Line area. Every specialty area has trained specialists who understand the importance of working with our youngest campers, promoting risk-taking and self-confidence. Their instruction offers positive reinforcement while learning new skills, allowing our young campers to feel comfortable and have an enormous amount of fun! Athletics: Tennis, basketball, soccer, floor hockey, junior lacrosse, T-ball, kickball, wiffle ball, gymnastics, T-ball, kickball, newcomb, wiffle ball, gymnastics, ropes challenge course and zipline, boating, martial arts, fabulous playgrounds and much more. Spring Lake has a special athletic director just for the Junior Camp. 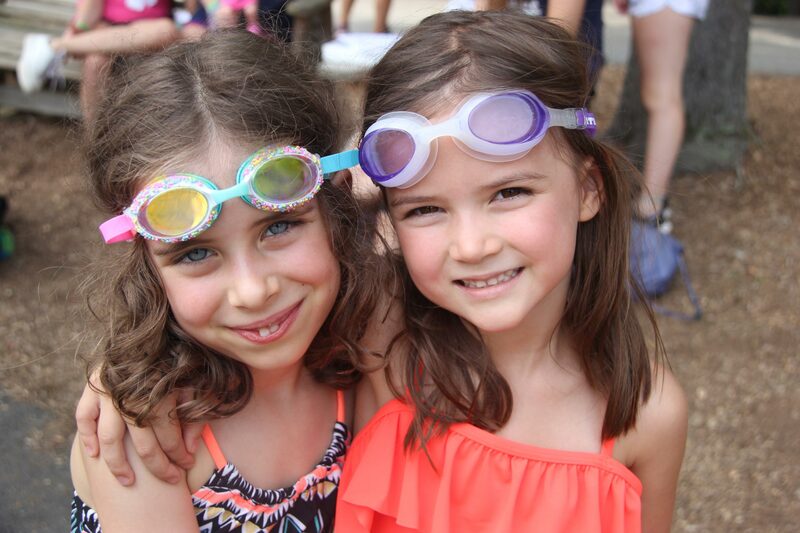 Swimming: Read a message from Sheri Taback, Junior Camp Aquatics Director. Cultural: Activities include various arts &crafts areas including ceramics, jewelry making and Western/American Indian art, as well as nature, discovery science, legos, and computers, all of which are geared toward sparking the imagination and creativity of our young campers! We also offer drama, dance, puppetry, music and cooking to encourage self-expression. Facilities: Four spacious air conditioned buildings for our Junior Campers with individual cubbies, carpeting and bathroom facilities nearby. Special Events: Weekly special events including shows (geared towards the younger child), pajama breakfast, pony rides, circus, carnivals, and more. Group Size: Approximately 10 to 12 children per group for the fours and fives; 12 to 14 children per group for the sixes. There are three counselors per group, plus an LTP (a counselor in training in our Leadership Training Program).